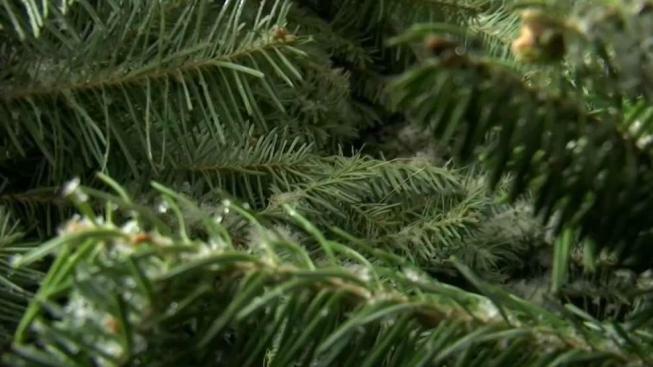 Some New Hampshire families whose budgets didn’t allow for a Christmas tree this year received a holiday surprise in the form of a free tree—thanks to a partnership between a Catholic church and a police department. “I just wasn’t going to have one,” Paul Newcity of Canaan, New Hampshire said Monday of a Christmas tree. Newcity said he didn’t have the spare cash to buy a tree this year, with six grandkids to get presents for, and his wife back in school. Newcity was able to pick up a free tree Monday—one of 18 distributed by the Lebanon Police Department. Father Charles Pawlowski of the Sacred Heart Parish in Lebanon teamed with Chief Mello, whose large Facebook reach found folks who could really use the help. The trees were left over from a church event, and the pastor said he hopes the simple gifts may remind everyone—no matter where they are—of the impact thoughtfulness and kindness can have, year-round. While the 18 donated trees were all spoken for by midday Monday, Lebanon’s chief said if there are still members of his community who can’t afford a tree and are going to go without one this Christmas, they could contact him at the department and he would help them find one. “We didn’t anticipate them going so quickly, and it shows the need in the community,” Mello told necn & NBC 10 Boston. For Newcity, this Christmas surprise should take a bit of stress out of the holidays, he indicated. “Just a little extra money in my pocket,” he said as he prepared to drive home with his tree.